Are You Ready to Receive ‘Divine’ Help? How did we end up in this business and why did we choose a few niche marketplaces – laboratories, imaging centers / medical businesses and IT? We are often asked this question from our clients, customers, and prospects. I wish we could say that it was part of our well thought out strategy, but in reality it was was a combination of serendipity and in terms of start-up lingo, ‘pivoting’ or course-correcting, to take advantage of new opportunities. 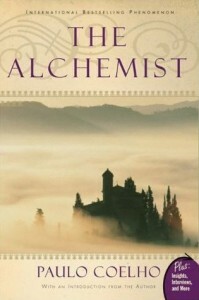 Years ago, I read the book called The Alchemist – an international best-seller by Paulo Coelho of Brazil. Although, the book is a fiction, I thought it provided some of the most interesting business lessons. Its central themes has always resonated with me. One of the message is that when you want something bad enough, the universe conspires in helping you achieve it. And it also goes on to illustrate how the hero in the book, Santiago, gets a number of signals or dreams guiding him. I personally have experienced many situations where some voice has guided me or helped me – whether it is an intuition, a dream, an inner voice or just a seemingly unlikely coincidence which solved some intractable problems. And I have spoken to many people who seem to have had similar experiences. In Alchemist, our hero also has these dreams or signals, which provided a guidance or help, seemingly out of no-where. And the message is to accept such help that will allow you to reach your goal. You should be open enough to receive these signals and courageous enough to act on these signals, even if it may need you to change your course. In my case, as a research scientist for a start-up, we were trying to solve a particularly tricky problem of getting pure plasma out of a drop of blood using a membrane ( a super-fine filter). At the time, in the early 1990s, this was a big deal. and no-one except one large company was able to do this. They used glass fibers and the process was patented. It worked but not particularly well. If we succeeded, this could allow a large number of other blood tests to use a simple way to extract plasma for a quick 1 or 2 minute tests. As a lead scientist, I had probably tried every type of membrane that I could lay my hands on and nothing worked. However, the way things were going, I was confident that somehow we will solve it as there was a feeling within me that this was destined to succeed. One day, I was sitting in my lab, kind of stuck, thinking of what else I could do. And then the “signal” came. Someone came to the lab and delivered me a small fed-ex package containing some other type of membranes from that I had ordered a while ago. I had forgotten all about it since I had ordered so many. It was nitrocellulose membrane from a company called Gelman. Thinking that I had nothing to lose by trying out this membrane, I quickly put it over my test strip and put a drop of blood and I could not believe it – within a second, I got pure plasma coming out on the other side. I was amazed as I had tried similar nitrocellulose membranes from other companies and they did not work! So we thought we had the problem solved! But what happened next was even more amazing. We soon were running out of this membrane and we ordered some more from the same company. But when we got it, we found that this time, these new membranes, which were from a different manufacturing lot, did not work. So we ordered several different lots. It turned out that only the first lot from this company worked! In other words, I was just lucky enough to get the right lot from this company at the right time. If I would have gotten a sample from one of the the “bad” lots, I might have easily given up! We eventually figured out how to convert the “bad” lots of this company’s membranes into good lots. We went to file patents and license this technology. But it just proves to me that often there is a “divine” intervention. I wanted this to work badly, and the universe intervened to make it happen for me. And over the years, there have been a number of situations where when I or when our company was stuck, there was always some event, or signal or guidance, that helped us at the crucial moments. Or when there was a fork in the road, somehow we had a guidance of which road to take. I have spoken to a number of people who have had similar experiences. In fact there are dozens of inventions and ideas (including nobel prize winning ideas), that originally came to the inventors or creators in dreams. Example include, the sewing machine, discovery of benzene, and many more. And I think that is one reason The Alchemist has resonated with so many people and sold over 65 million copies in 56 languages. For me the book represents – If you want something badly enough, work very hard to achieve your goal, have faith that you will succeed, and when help appears out of nowhere, whether it is in a concrete form or through intuition, dream or a signal, be ready to accept and act on it. This entry was posted in Business Advice, business strategy, small business and tagged destiny, divine guidance, faith, hard work, intuition, karma on May 15, 2015 by techblogger.